The French Dreadnought class "Bretagne" was constructed in the 1930's and was armed with the original 34 cm guns of the "Normandie" class, which class was never built. On the 27th November 1942 the "Vichy" fleet was scuttled by the French in Toulon. 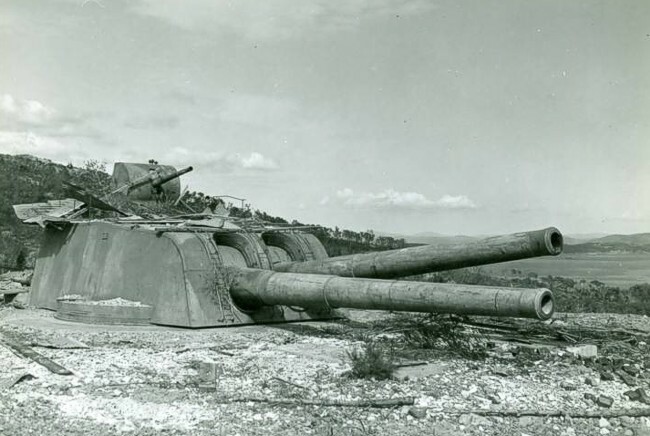 The French had placed two 34 cm double barrel turrets from 1912 in a battery at Cap Cépet in 1936. The German navy replaced the worn-out barrels by four spare ones of the French battleship "Provence". This took place in the end of the year 1943. Four other single guns were, before the war, converted into railroadguns (E) 674 (f) by the firm "Saint-Chamond". The German forces placed them in the battery "Plouharnel" on the peninsula of Quiberon, France. 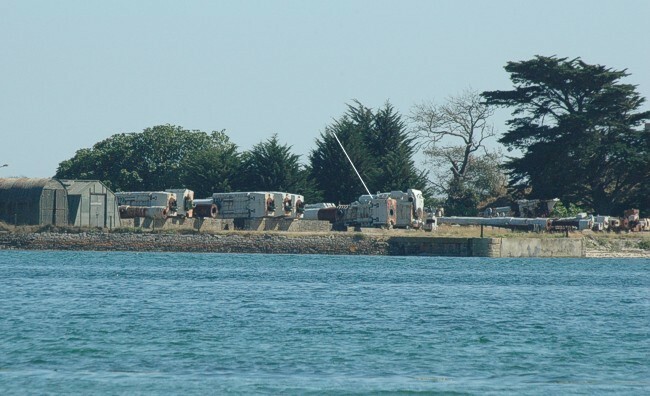 The French navy made plans for placing two turrets in Castel Vendon, nearby Cherbourg. The shafts for them were never finished, but are visible. Do not confuse these French shafts with the two shafts that the Germans started to build very nearby. The French turret A at Cap Cépet. 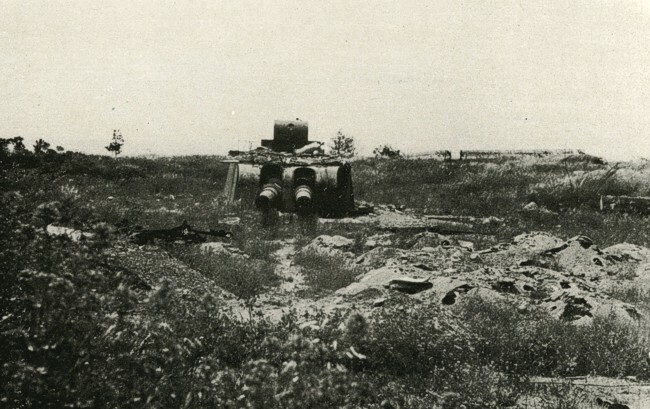 The second turret in the same battery. One of the barrels of Plouharnel lies in a depot in Kersahu, across the bay at Riantec. 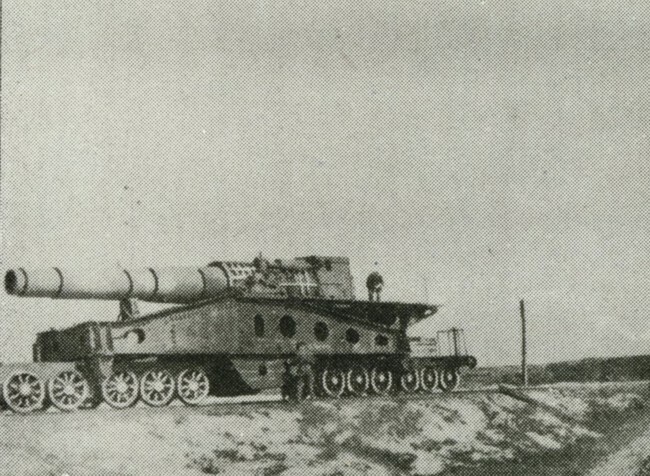 It is the one left of the largest gun. The railwaygun in full view.